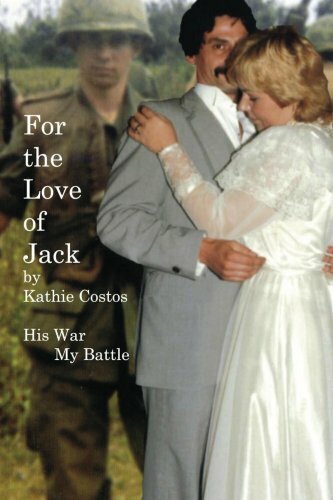 For The Love of Jack, His War My Battle originally published in 2003 because I tried to warn people about what was coming into their lives. PTSD! It was republished in 2013 because too many thought their love alone would be able to heal them. Love has to be strong enough to do whatever it takes to help them heal! Stop making excuses for what you fail to do. We lose more after combat than we do during it. Wars end and they come home but that battle lasts a lifetime! We have to be trained to win it for them! The battle to save the lives of combat veterans is not lost and it is not new. 18 veterans and more than one active duty service member take their own lives each day. More attempt it. Kathie Costos is not just a Chaplain helping veterans and their families, not just a researcher, she lives with it everyday. Combat came home with her Vietnam veteran husband and they have been married for 28 years.She remembers what it was like to feel lost and alone.Everything you read in the news today about PTSD is in this book originally published in 2002 to serve as a guide to healing as well as a warning of what was coming for Iraq and Afghanistan veterans. Sun Herald out of Mississippi released resources for veterans to get help!